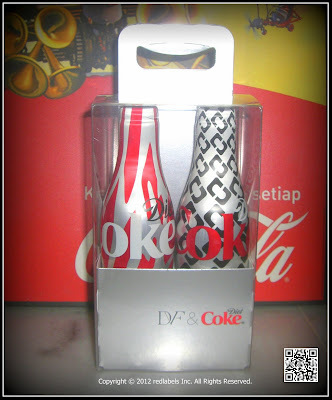 2012 Heart Truth Diet Coke Aluminum Bottle Set inspired and designed by DvF. 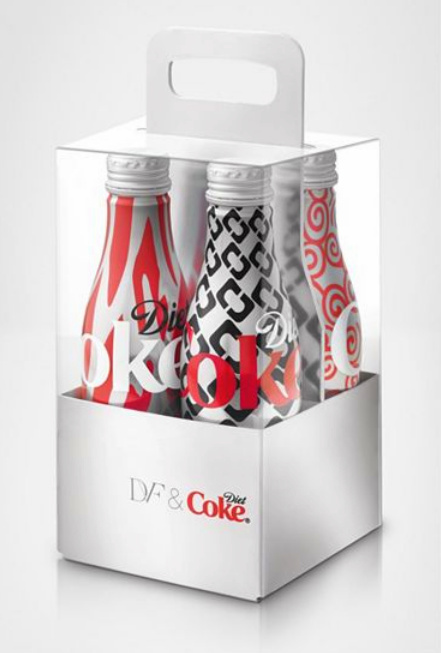 DVF and Diet Coke have come together to create this chic set of iconic bottles featuring classic DVF prints. Available only in the month of February, the set makes the perfect one-of-a-kind gift for any fashion minded collector. And in the spirit of sharing the love, 100% of proceeds will be donated to the Foundation for the National Institutes of Health. Set of 4. 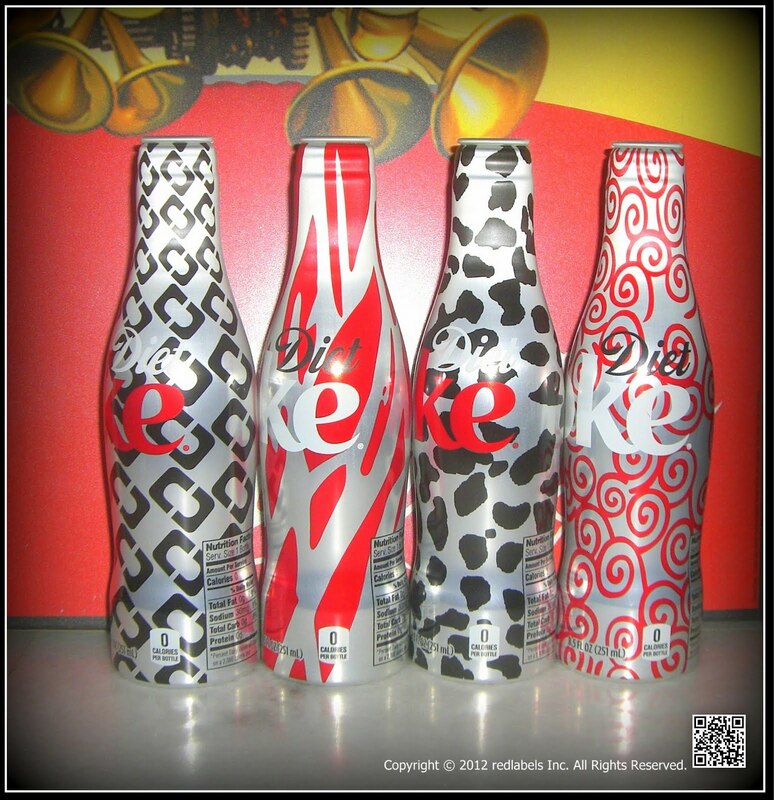 Bottles are collector’s items only, do not contain Diet Coke and are shipped without caps. 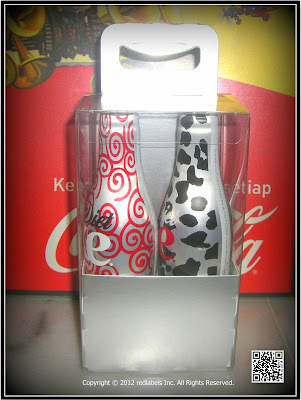 Comes with 4 Bottles in a fancy 4 pack carton box. Only 500 sets produced for her private function. No UPC code so they will not be sold to public. Designs are 1 of 4 chain, 2 of 4 twigs, 3 of 4 popcorn, and 4 of 4 swirls. ALL BOTTLES ARE EMPTY with No caps. 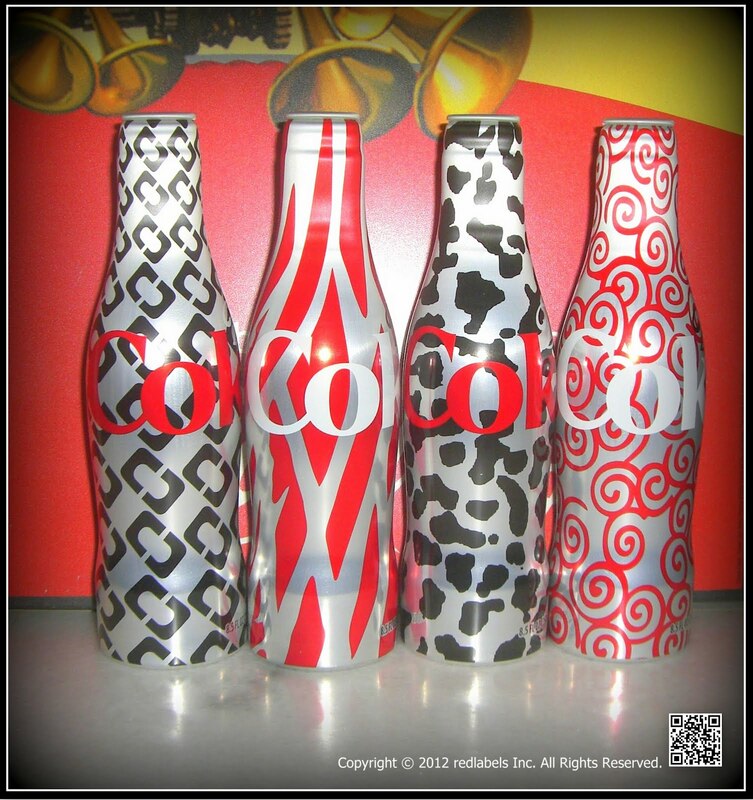 THEY WERE NEVER FILLED BY COCA-COLA. 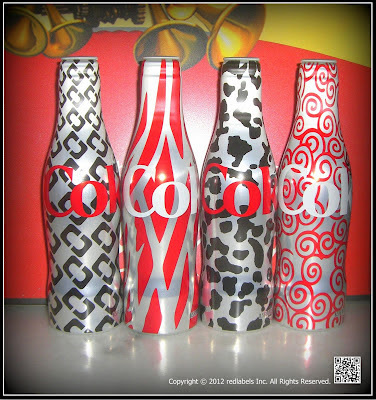 This year, Diet Coke teamed up with Diane von Furstenberg to present us the 2012 Heart Truth Diet Coke Bottles.These bottles are only being offered empty because it's their thought that most collectors would want it this way.The good news is, that these 4 bottles will come inside a one of a kind 4 pack carton box that is very cool. 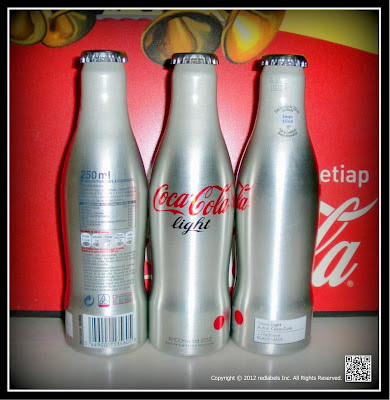 The reason they are not full is because whenever there is a Coca-Cola beverage container that is sold with contents, a local distributor of Coca-Cola where the item would be sold has to benefit from that sold item. 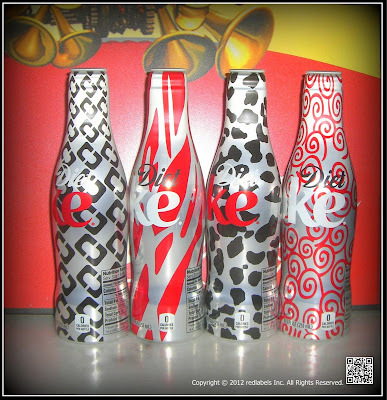 And Coca-Cola does not want to include the local distributor because that would add more cost to their charitable program that they are already heavily invested in with this program of doing good and bringing awareness to heart healthy lifestyles. There are other considerations of why they are empty which are more costs, time, low production if filled, transport shipping costs, and many more reasons that I'm not qualified to know, maybe. 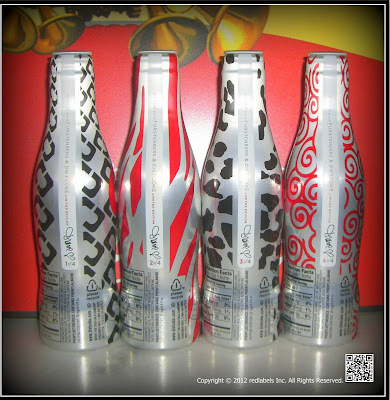 There will be some of these bottles that will be full and this will probably be near the actual Mercedes-Benz fashion show. 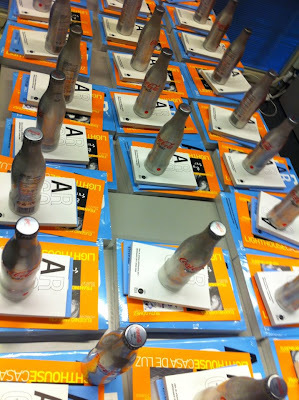 At the fashion show they will probably hand out these 4 pack empty bottle carton sets as well. Five lucky winners will get a trip to NYC for Fashion Week. 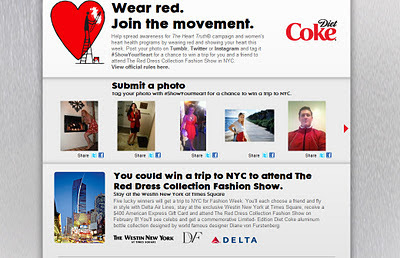 Each winner choose a friend and fly in style with Delta Air Lines, stay at the exclusive Westin New York at Times Square, receive a $400 American Express Gift Card and attend The Red Dress Collection Fashion Show on February 8! Winner 'll see celebs and get a commemorative Limited- Edition Diet Coke aluminum bottle collection designed by world famous designer Diane von Furstenberg. The Heart Truth® campaign is a national awareness campaign, sponsored by the National Heart, Lung, and Blood Institute (NHLBI), that is embraced by millions of women who share the goal of better heart health. 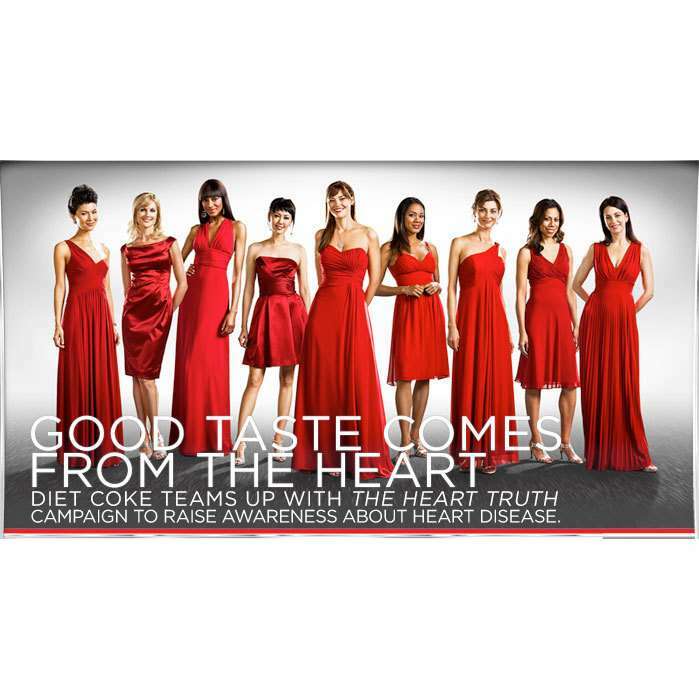 The campaign not only raises awareness about heart disease in women, it also equips women to take action against risk factors. The NHLBI is part of the National Institutes of Health, U.S. Department of Health and Human Services. 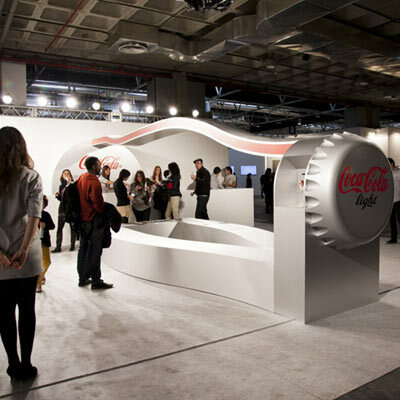 Coca-Cola Light, in collaboration with ARCOmadrid, is organising free guided visits to bring contemporary art closer to visitors. In addition they will present every visitor with an exclusive, limited edition, aluminium bottle designed especially for ARCOmadrid. 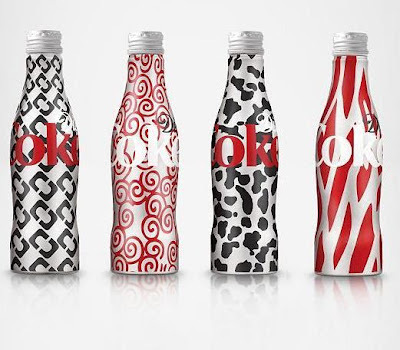 Coca-Cola Light launches a special edition aluminum bottle inspired by the International Contemporary Art Fair, ARCO, to be held in Madrid from 15 to 19 February. 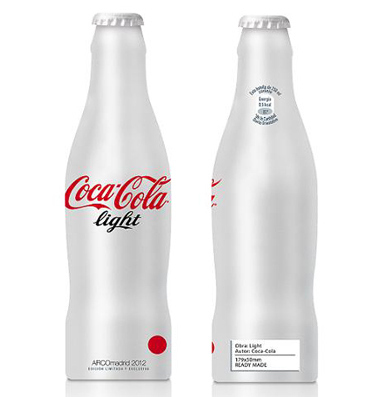 This limited edition aluminum bottle will be presented and available during the show, refers to two very representative at ARCO icons: the red circle that indicates when a work has been acquired and the placard descriptive of the work, which includes the title of the work , measures and the technique used. It is not the first time that the bottle of Coca-Cola Light changes its image. International designers like Karl Lagerfeld, Manolo Blahnik, Roberto Cavalli and Nathalie Ryki have shaped his style in this bottle. 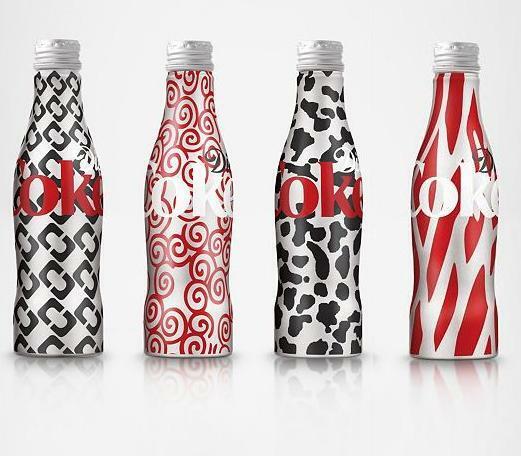 In Spain, and to celebrate the 25th anniversary of Coca-Cola, designers such as Amaya Arzuaga, davidelfin, Devota & Lomba, Duyos, Francis Montesinos, Lydia Delgado, Miriam and Roberto Verino Ocariz left their style and personality the bottles. The fair Arco, which is held in the city of Madrid in Spain and important international business center that brings together possibly more than 70% of events of interest with the permission of Barcelona which remains an event of global significance and a traditional event in any of its other cities (of Spain), is the most important event of the year for lovers and practitioners of contemporary art. In this edition, Thousand Rounds has worked for Coca-Cola light to create the most bubbly stand enclosure. 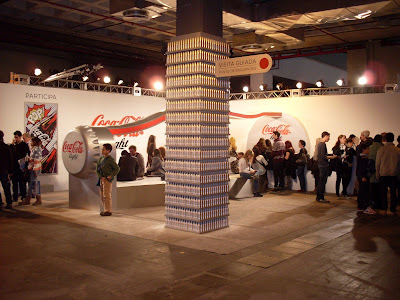 The stand is a scale reproduction of the genuine bottle of Coca-Cola. Its impressive size, 8 feet long, is a lure for visitors and exhibitors at the first opening day made this a meeting space. 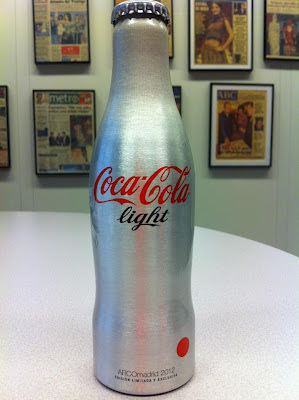 Diet Coke has designed an exclusive and limited edition aluminum bottle, that everyone who comes close to visiting the stand can get for free. In addition, the stand has a work-participatory puzzle that they want, they can place a piece in order to discover the picture behind the numbers. 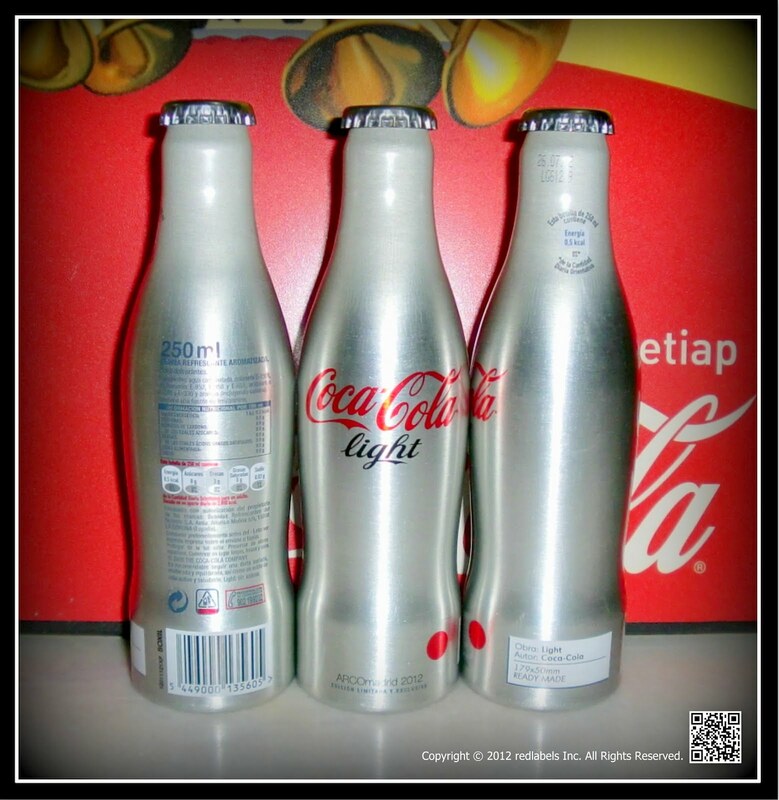 This first project Thousand Turns developed in 2012 for the beverage company, is the start of the relationship between the two companies this year. 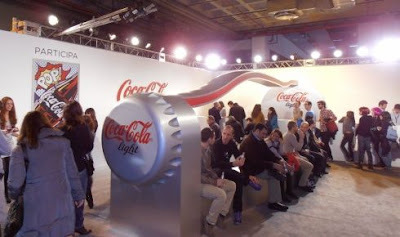 Definitely a reason to stop by ARCOmadrid 2012 and enjoy this new design of the bottle of Coca-Cola for the occasion.